BCC Mining Network provides no information on their website about who owns or runs the business. The BCC Mining Network website domain (“bccminingnetwork.com”) was privately registered on June 9th, 2018. Of note is the official BCC Mining Network’s official Facebook page, on which posts are made in Spanish. 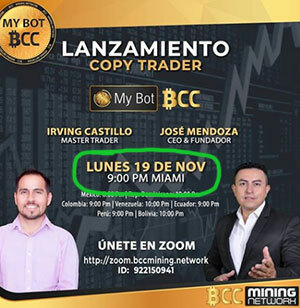 Marketing material on BCC Mining Network’s Facebook page identifies Jose Mendoza as Founder and CEO of the company. Possibly due to language-barriers, I was unable to put together an MLM history for Mendoza. Read on for a full review of the BCC Mining Network MLM opportunity. BCC Mining Network has no retailable products or services, with affiliates only able to market BCC Mining Network affiliate membership itself. BCC Mining Network affiliates invest funds on the promise of a “revenue sharing” ROI. Note that BCC Mining Network do not disclose how often revenue sharing ROI payments are made. Typically however such payments are either made daily or weekly. BCC Mining Network affiliates are paid to recruit new affiliates. BCC Mining Network pays residual commissions via a binary compensation structure. The more an affiliate invests the higher their income potential via the BCC Mining Network compensation plan. Note that while BCC Mining Network appears to solicit investment in USD, ROI payments and commissions are paid out in bitcoin and bitcoin cash only. Also note that BCC Mining Network charge a 5% fee on all withdrawal requests. BCC Mining Network claims to generate external ROI revenue through cryptocurrency trading, “mining farms in USA and other cities of the world” and forex trading. No evidence of BCC Mining Network using external ROI revenue to pay affiliates is provided. Being a securities offering, in order to operate legally BCC Mining Network needs to register itself with securities regulators and provide investment disclosures. Perusal of Jose Mendoza’s Facebook page reveals he is actively promoting BCC Mining Network across the US. Securities in the US are regulated by the SEC. Yet at the time of publication neither BCC Mining Network or Jose Mendoza are registered with the SEC. This means that BCC Mining Network is being promoted and operating illegally in the US. 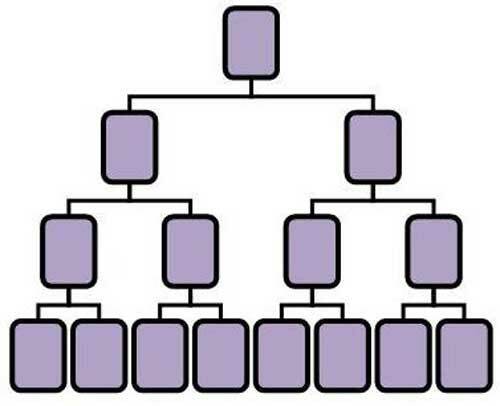 Recruitment commissions and no retail offering adds an additional pyramid layer of fraud to the scheme. At best, BCC Mining Network is generating external ROI revenue but still operating as an illegal unregistered securities pyramid scheme. At best BCC Mining Network is a full-blown Ponzi scheme. Typically when we see MLM cryptocurrencies offer unregistered securities it is because, either in part or in full, they are recycling newly invested funds to pay off existing investors. This results in the majority of investors losing money when the scheme inevitably collapses. Based on the current regulatory status of the company, there is an extremely high probability BCC Mining Network falls into this category. I wonder what happened at the event and how many showed up. Pretty stupid to use the bcc (bitconnect) name in crypto again.